Parish church. C13 and C15 with early C16 addition, restored in 1832 and/or 1842.
granite with 4-centred head and arched hoodmould. Pointed head image niche above. depressed 4-centred arch lights and straight heads with square hoodmoulds. centred head, moulded on inside and out. Pevsner A-type piers, their capitals differ slightly. No tower or chancel arches. 5, it consists of a white marble plaque with black marble surround and urb above. depicts various angels holding coats of arms. 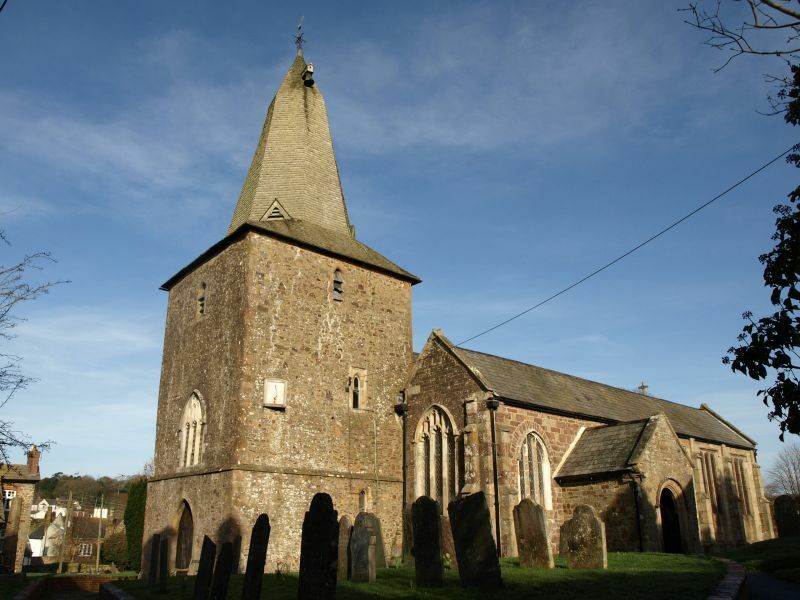 Mortimer : The History of North Tawton.